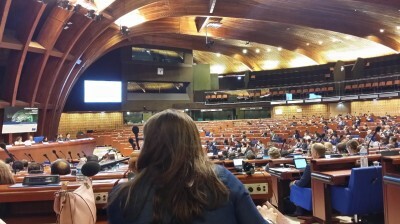 *Strasbourg/CoE/Angelo Marcopolo/- By a surprizing Coincidence, it's just 1 Hour after the Conclusion of an important International Conference on Cyber-Security at the CoE in Strasbourg, Exceptionaly organized in the Middle of the Summer (11-13 July 2018), and only 3 Days before a crucial USA - Russia Summit, between Presidents Trump and Putin at Helsinki, on July 16, that a notoriously "Deep State" Attorney, dating Back from the Era of Former POTUS Barack Hussein Obama, and Former SOS Hillary Clinton, Mr. Robert Mueller, in fact accused 12 Russians to have Helped Transparency and Truth at the 2016 US Presidential Election, by revealing what Obama/Clinton Party's Staffers had written in their e-mails in the Past. But, could CoE's evolving Efforts for "Cooperation against Cyber-Crime" Help Find a Practical Solution in the forthcoming US - Russia Summit in the foreseable Future (See Infra) ? Meanwhile, Mueller had already pushed, previously, to Convict 13 other Russians by Accusing them, inter alia, to Publish at "Social Medias" Criticism and Help American People Opposed to another Clinton's Return Back to Power during the various pre-Electoral Meetings on 2016. 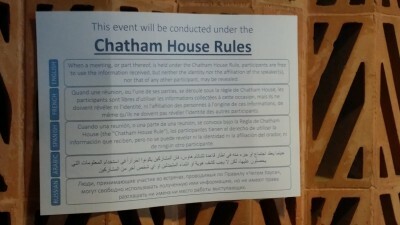 - During a Cyber-Security Meeting inside the CoE, (with a Numerous Participation of USA via Experts, State Officials, Big ICT Companies, Sponsors, etc), placed under strict "Chatham House Rules", (which Hinder Journalists from revealing the Name of those who are Speaking), a participant claimed that "Facebook" and other such Serial Web Deposits Containers, were "Aware of Russian Interferences in the 2016 (US Presidential) Election", as she said. - Questioned by anOther Participant if she Alleged that Russians might have abused then of "Fake News", she replied "Yes", citting as a concrete Example f.ex. a case in which someone would have published at "Facebook" a "Story which wasN't entirely True", (i.e. Partially False), as she Vaguely claimed. >>> But Now, on the Contrary, an US Department of Justice's Official Press Release, practically Claims that Russians, in fact, would have Helped Transparency during that Electoral Debate, by Revealing the Truth (and Not "Fake" News at all) on "Socialist" (Liberal) Dem. Party staffers' e-mails concerning core Issues of that Public Debate. - Indeed, a DOJ Press Release anounced Today that a "Jury at DC" accepted "an Indictment presented by" Controversial special Attorney Robert Mueller, who "charges 12 Russian nationals", apparently "all, ...Members of the GRU", accused to have got Data from Obama/Hillary's Party HQ, and "released ...Information on the Internet, under the Names "DCLeaks" and "Guccifer 2.0", etc. - But Mueller Refused to speak to the Press, preferring to adopt a "NO COMMENTS" attitude, on this issue. - Rosenstein too, did Not mention any Evidence at all from the reportedly "Hacked" Computers of Obama/Clinton Party's HQ, since the DNC has notoriously Refused to give them to Investigators. On the Contrary, the DOJ revealed that USA's Services... Spy well enough on their Russian counterparts, since they went as far as to Claim that they knew what exactly GRU Members were looking at, in their Computers, on a precise Day and even Moment ! Rosenstein is linked with Mueller since his First Job to the US Justice Department, where he had been Hired "through the Attorney General's Honors Program", at the Criminal Division since 1990-1993, then led by Mueller, as "Assistant Attorney General", ("Wikipedia" notes). Later-on, it was now practicaly ...Rosenstein who pushed to re-Hire Mueller on 2017, when he reportedly helped Trump Fire Comey, and give a new job to Mueller, (precisely on the Investigation of so-called Russian interferences). 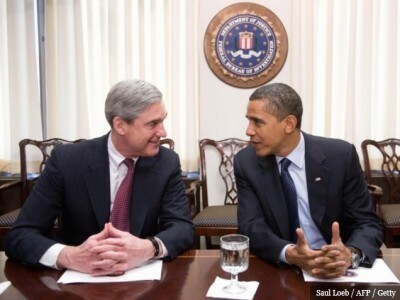 Mueller's previous job as former FBI Director had been Prolonged by "Socialist" (Liberal) former POTUS Barack Hussein Obama, until he became one of the Longest-serving in History. 9/11 Mass Massacre by Islamist Terrorist Attacks against almost 3.000 Civilian People, - including the ill-elucidated Deadly Implosions of WTC's Towers (that Trump had Critically Questioned since then), the Downing of Flight 93, a Chirurgical-Precision Air Crash at Pentagon's HQ, etc, - occured just 1 Week After Mueller took over the job of FBI Director, from September 2001. And, just 1 Month Before the Controversial Deadly Military Invasion of Iraq, on March 2003, (notoriously Pushed by "Socialist"/Liberal former UK Prime Minster Tony Blair, under grossly Fake Claims of Biological "Weapons of Mass Destruction", etc, proven to be "Fake News", at the latest by an Official Enquiry's Findings, published only on 2015), Mueller had Claimed, in an Official Testimony to USA's Senate, that there was "Evidence ... that Baghdad ...Failed to Disarm its Weapons of Mass Destruction", provoking a "particular Concern... that Saddam Hussein may Supply Terrorists with Biological, Chemical or Radiological material", (as "Wikipedia" reminds). 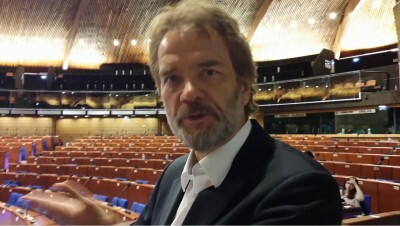 + Surprizingly, by anOther Coincidence with this Week's PanEuropean CoE's Global Conference on "Cyber-Crime" in Strasbourg, at the Eve of Trump - Putin's Summit also in Europe, at Helsinki, Finland, (Comp. 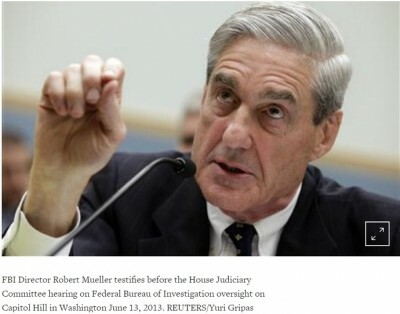 Supra), "Mueller, after Leaving the FBI in 2013", for the "Private Sector", (in fact : "Stanford University"), he was Hired for "issues related to Cyber-Security (...!!!)" => It's precisely during that period, on "June 2013", (under "Socialist"/Liberal Barack Hussein Obama's Presidency) that "Mueller defended NSA Surveillance", when the Scandal of Mass Spying, even on German Chancellor Angie Merkel's Mobile Phone, (See "Eurofora"s NewsReport from Brussels' EU Summit of October 2013, at : ..., etc), by Claiming that "NSA surveillance" ... Complied "in Full with US Law and with basic Rights, guaranteed under the Constitution" (sic !). >>> Attacking any kind of "Whistle-Blowers" who might take Risks in order to Reveal Critical Truths, already since then (2013), "Mueller added his voice to the Obama administration’s defence of the Surveillance programs", Threatening, since then, to "take all necessary steps to hold [Edward Snowden] Responsive for those Disclosures", as "Reuters" had observed. - World-Famous Whistle-Blower Edward Snowden was then "believed to be in Hong Kong, after Flying there ...from Hawai", "planning to request Asylum", after having "Divulged Secrets to Britain’s Guardian newspaper and the Washington Post, because he believed the U.S. Surveillance programs were illegal and intrusive", Press Agency "Reuters" denounced. - <<"The individual who has admitted making these disclosures, .. is the subject of an ongoing Criminal Investigation,” Mueller said without naming Snowden>>, pointed out "Reuters". 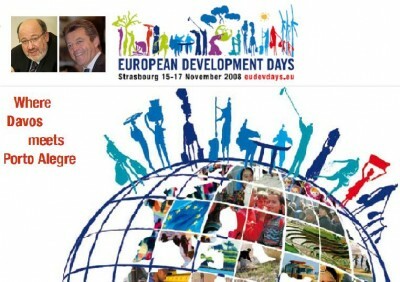 Snowden, later-on, found Refuge in Russia, as Political Refugee, often Interviewed by EU Parliament and/or CoE's Assembly in Strasbourg, through "Live" Tele-Video Links, (including at Events organized by mainstream ChristianDemocrat/EPP Dutch MEP Peter Omtgizt, of the Center-Right, See, f.ex. .., etc). => That 2016 "Email Leak" from Obama/Clinton Party (DP), known as the "Democratic National Committee" (DNC) Scandal, Revealed, among others, mainly that their Party's Leadership strived, in fact, to "Sabotage Bernie Sanders' presidential campaign", by grossly Interfering into DP's 2015-2016 Primaries, in order to Favour Hillary Clinton. Those DNC' 2016 Email Leaks (notoriously Spread by "Wikileaks" NGO, whose CEO Assange was Persecuted by former POTUS Barack Hussein Obama for Many Years, despite UN Human Rights bodies' Protests at Nearby Geneva) were notoriously Proved to be Truethfull, leading to the Resignation of the Dem. Party's Leadership then. It's precisely for allegedly Helping to Reveal to the American People such Gross Attempts by the Obama/Clinton Establishment to Scandalously Rigg the 2016 Election, that Mr. Mueller Now prosecutes 12 Russians..
- F.ex., Arms race reduction and Fight against Nuclear Proliferation, North Korea, Reconciliation and Detente, Peace in Syria and the Middle East, Fight against Islamist Terrorism, creation of a Joint Working Group on Cyber-Security, Economic Cooperation, etc. 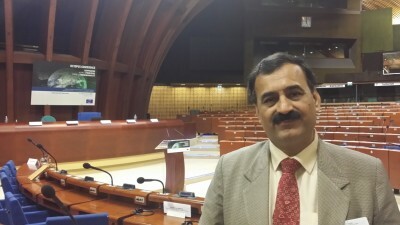 >>> However, could a Solution for the foreseable Future be provided by ..."Cooperation against Cyber-Crime", which was the official Focus of this exceptional CoE's International Conference in Strasbourg, (Comp. Supra), with the Participation of Both USA's and Russia's Experts and/or Officials ? 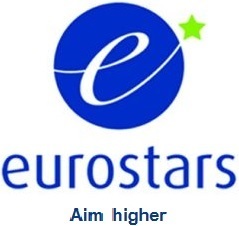 - The experienced Head of Division at the Department for New Threats and Challenges, in the Russian Foreign Ministry, Ernest Chernuckhin, speaking to "Eurofora", just after the Conclusion of that Exceptional CoE's International Conference, (i.e. at a Moment when a Press Embargo-Breaker Journalist had already Revealed, through his Tweeter Account, what was due to be Soon Officialy Announced in Public : Comp. Supra), stressed, with a mysterious Smile, that whenever their is "Dialogue and Cooperation", then, things are "Advancing Well", particulary "under UN Auspices". - However, an almost Double-Sized Team from the USA, (with 3 Senior Officials precisely from the DOJ, including on "International Programs", and 2 from the State Department, in charge of Europe and Asia), while Smiling Friendly and speaking to "Eurofora" on other issues Yesterday at the CoE, they Carefully Avoided to Say anything on Future Projects related to "Cyber-Crime", by Soberly pointing to the fact that they "Were Not Authorized to Speak to the Press" about such matters now. - Nevertheless, Rumours that USA and Russia might, eventually, set up a kind of Joint "Working Group on Cyber-Crime", due to Monitor any possible Allegation of Interference by a Foreign Government in National Elections, as it had already popped up since a 1st, Brief Meeting between Presidents Trump and Putin on the sidelines of the latest "G 20" Summit, Last Year, 2017 in Hamburg (Germany : Comp. "Eurofora"'s NewsReports from the spot, f.ex. : ...., etc), Emerged Also Nowadays anew, among various Speculations on the forthcoming, July 16, 2018, Russo-American Helsinki Summit. 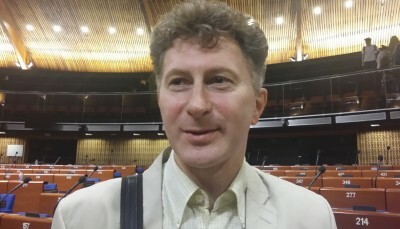 - Speaking to "Eurofora", CoE's Director on Cyber-Security, the Experienced Alexander Seger from Austria, (which now Chairs EU's Presidency for the Period of July - December 2018), who Participated personally in a Session on "Democracy under Attack", told us that a most "Important", key part of this Week's extensive, 3 Days-Long International Conference, were current Efforts to Negotiate an Agreement for a "New Protocol" to CoE's pioneer Budapest Convention against Cyber-Crime, concerning "Evidence and Jurisdiction" on relevant Data "in Cyber-Space", Hopefully on 2019, for which CoE Organizes in Strasbourg 2 Stakeholders' Consultations (including Governments, Experts, Civil Society NGOs, etc) this July and on November 2018. + It's also on 2019 that California-Based ICANN hopes to publish and start Implementing a New "WHOIS" Unified Framework Model, particularly Needed for IP-related Information seeked by Prosecutors, etc., mainly After the Recent EU's Directive on Personal Data Protection and other relevant developments, "But it all depends on Agreements between the concerned Countries", said to "Eurofora" ICANN's Senior Director for Governments and Inter-Governemental Organisations (as f.ex. 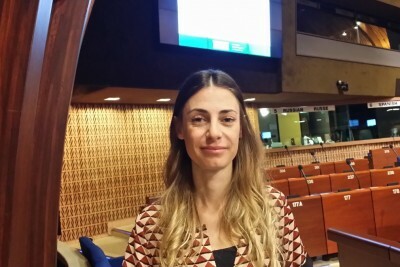 CoE, OSCE, etc), Elena Plexida from Greece, (who holds also a recent Experience in Brussels, on EU Commission, etc).